When it came to showing aikido to the general public in a way both attractive and easy to understand, Gozo Shioda stood alone. He combined a lucid analysis of aikido theory with crisp technique and a liberal dash of humor. 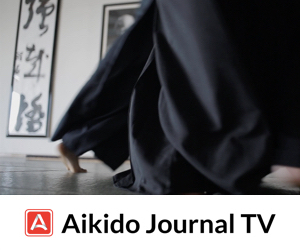 The observer of a Shioda aikido demonstration would almost invariably be caught up in the mood of the experience and ready to join an aikido dojo without the least bit of coaxing. 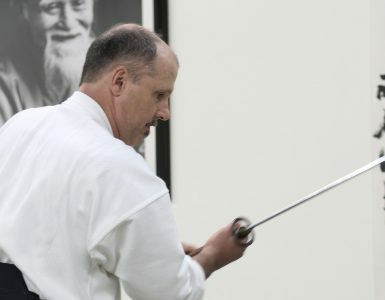 Moreover, Shioda never failed to acknowledge his teacher Morihei Ueshiba and the fact that aikido evolved from the techniques of Daito-ryu aikijujutsu. The second son of a well-known pediatrician, Seiichi Shioda, Gozo was born in Tokyo on September 9, 1915. A small, sickly child, Shioda credited his very survival to the medical skills of his physician-father. Young Gozo enjoyed a privileged upbringing, but at the same time was subject to the directives of his strong-willed father. His fateful meeting with Morihei Ueshiba, the founder of aikido, came about in a rather unusual way. Mr. Munetaka Abe, Gozo’s middle school headmaster, was struck by the outstanding mental attitude of a young woman, Miss Takako Kunigoshi, who cleaned a nearby shrine every morning. When asked about her exemplary bearing, she gave credit to her aikijutsu teacher and suggested the schoolmaster observe a training session. Thoroughly impressed by what he saw at the nearby Ueshiba Dojo, Mr. Abe urged Gozo’s father to enroll his son there. 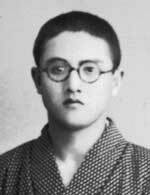 On May 23, 1932, the 17-year-old Gozo appeared at the Ueshiba dojo to witness a demonstration. Having a strong background in both kendo and judo, the confident young Shioda was skeptical of the clean, controlled techniques he saw performed. Sensing the lad’s attitude, Ueshiba invited him to attack, and in the blink of an eye, Shioda found himself flat on his back, rubbing his head, after an unsuccessful attempt to kick. In aikido, “feeling is believing,” and Shioda immediately decided to join the dojo. Since two guarantors were required to enter, his father and Mr. Abe provided introductions. At that time, there were about twenty live-in students at the Ueshiba dojo and they followed a rigorous schedule, with classes starting at five in the morning and ending at nine in the evening. It must have been highly stimulating for Shioda to become part of this dojo where so many skilled young martial artists trained and where numerous persons of high-social standing routinely appeared. Morihei Ueshiba was extremely active at this point in his career and taught not only at his Kobukan Dojo in Shinjuku, but also at the Nakano Military Institute, the Military Police School, the Army’s Toyama School, as well as at other locations. For this reason, he did not need to solicit students from among the general public, and the emphasis at the Kobukan was on the training and development of the live-in students. 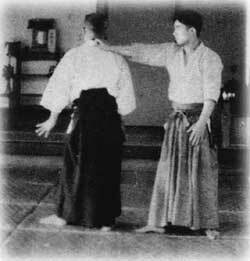 Technically speaking, Ueshiba’s “Aiki Budo” at this stage was in transition between Daito-ryu aikijujutsu and modern aikido. There were many more techniques; they were generally linear in appearance and were applied with great vigor. Also, many complex pinning techniques (osaewaza) were still practiced. Young Gozo was still an intermediate school student when he enrolled, and at first he attended only morning sessions, waking up at four a.m. to arrive on time. Later, at his father’s urging, Gozo set his sights on an adventure-filled life, working for the “reconstruction” of Mongolia. As part of his preparations for the strenuous years ahead, he decided to withdraw from school for two years and devote himself fully to aikido training. He continued practicing aikido as a student at Takushoku University, until his departure for military service in March 1941. Shioda spent most of the war years in China, starting as a secretary of General Shunroku Hata in Beijing, and had more than one close brush with death. Shioda’s autobiography, Aikido Jinsei (Takeuchi Shoten Shinsha, 1985), covers this period and makes for exciting reading. A few months after his discharge from the Imperial Army in the fall of 1946, Shioda spent several weeks of intensive training and farming at the home of Ueshiba who, during the early days of the war, had withdrawn to Iwama in Ibaragi Prefecture. Still a young man, and with his master apparently in retirement Shioda then returned to Tokyo and, like most others, struggled to make ends meet in poverty-stricken Japan. In 1950, Shioda was asked to guard the Tsurumi facility of the Nihon Kokan Steel Company in the wake of the “Red Purge”, so he gathered together some fifty-five of the strongest members of the kendo, judo, and sumo clubs of his alma mater, Takushoku University. This led to a request for him to teach aikido on a regular basis at various plant locations starting in 1952. He also gave demonstrations at numerous police departments during the early 1950s. A large aikido demonstration held in Tokyo in 1954, sponsored by the “Life Extension Association” proved to be a significant event. Shioda’s performance was the best received by the huge audience of some fifteen thousand people, and little by little the nascent Yoshinkan Aikido organization began to achieve recognition. Around this time, Shioda’s activities also came to the attention of various important business figues. In particular, Shoshiro Kudo, who was head of the Tomin Bank, came to the aid of the Yoshinkan and backed the construction of a dojo. The Tsukudo Hachiman facility was opened to the general public in 1955. From that modest beginning, Yoshinkan Aikido gradually spread all over Japan and to foreign countries, mainly the U.S. and in Europe. 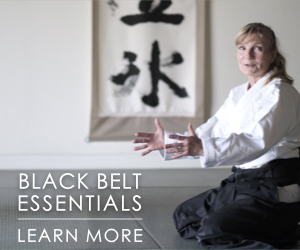 It is presently the second largest aikido organization, with hundreds of member dojos in its world-wide network. The subject of how Yoshinkan Aikido became an entity separate from the Aikikai is not well understood. When Shioda started his aikido activities in earnest after the war, Morihei Ueshiba was still in retirement in Iwama and classes at the Aikikai dojo (formerly the Kobukan) were irregular and sparsely attended. In fact, several families left homeless due to the bombing of Tokyo lived in the dojo. At one point, it was even used as a dance hall! It was against this backdrop that Shioda achieved his early successes, and the Yoshinkan grew steadily. Somewhat later, the Aikikai gradually began to regain momentum under the direction of Ueshiba’s son Kisshomaru and the founder himself spent increasingly more time in Tokyo. Thus, there never was a formal split between the two organizations, despite their rather different approaches to aikido. The two groups simply evolved independently while maintaining more or less cordial ties. All throughout these years, Shioda and Kisshomaru make regular appearances at the formal occasions of each other’s organizations. Today’s aikido is so dimensionless. It’s hollow, empty on the inside. People try to reach the highest levels without even paying their dues. That’s why it seems so much like a dance these days. You have to master the very basics solidly, with your body, and then proceed to develop to the higher levels… Now we see nothing but copying or imitation without any grasp of the real thing…. Certainly the dance-like movements often seen today as representative of aikido technique, though perhaps pleasing to the eye, fail to impress practitioners of other martial arts as effective. 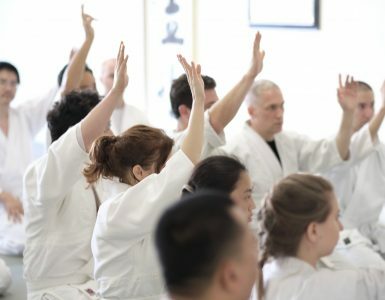 Gozo Shioda’s position on this issue remained crystal clear and the teaching curriculum developed within the Yoshinkan system places great stress on inculcating basic technical skills while building the minds and bodies of trainees. 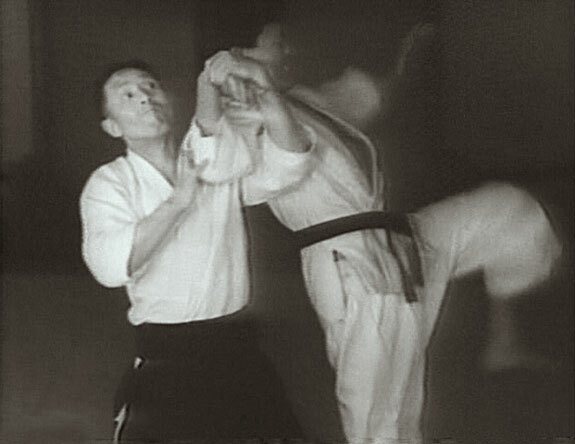 Shioda Sensei’s technique was incredibly dynamic and the art’s “Little Giant” remained active teaching and promoting Yoshinkan Aikido until shortly before his passing in 1994. Following his death, Yoshinkan Aikido underwent a series of administrative changes but remained comparatively stable as an organization under Kyoichi Inoue until the latter’s resignation in 2006. Since that time, Yoshinkan Aikido has fragmented with several of Shioda’s senior instructors forming independent organizations. It is always wonderful to see anything on Kancho Sensei Gozo Shioda and this reprint is no exception. In so many ways it would seem that the Yoshinkan and Iwama can serve as “reality checks” to the Hombu Aikikai brand of what I tend to call “dojo Aikido” marvelous though it be. On a personal note, thank you so much for the files you sent. I have been too ill to absorb them but I continue to love your immense efforts as the Dean of Aikido Historians. A blessed Christmas/Holiday to all! Thank you very much for the kind comments. I too wish you a very Merry Christimas. My Iwama Ryu instructors in Japan told me that the techniques of Iwama Ryu and Yoshinkan are practically the same, but in Yoshinkan, when they perform a technique, they really, really, mean it. Thank you for publishing the article on Kancho Gozo SHIODA. Had a great sense of humor and was a pleasure to watch. 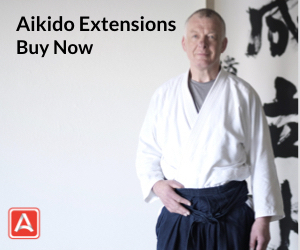 Aikido is a growing art but always nice to revisit our mentors from the past and know more of the early days. 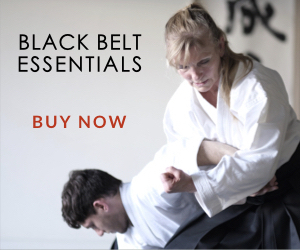 I have the view that -other than the different styles-there are 3 levels to aikido. I am not referring to kihon, nagare and ki no nagare but to the difference of applying power. In morote kokyuho (kokyunage) there is the option to help your partner down slowly , the option to let gravity do it’s work and the (yoshinkan) option of adding force and “full vigour” to the throw -embedding them in the tatami. It’s no wonder it was adopted by the Tokyo riot police. 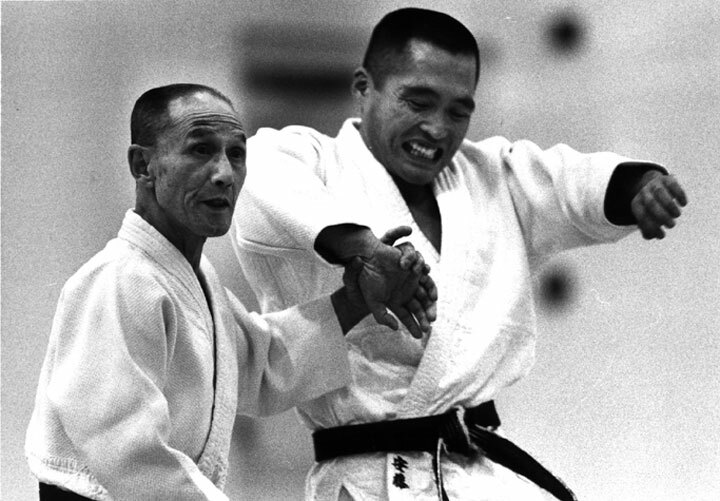 For great stories on Shioda sensei, read ‘Angry white pyjamas’ by Robert twigger. 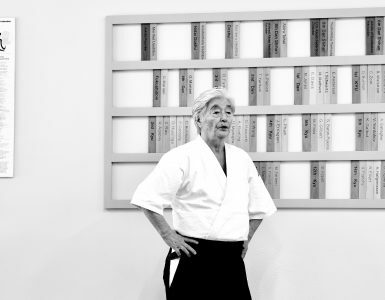 An excellent read on one of Aikidos most influential practitioners.